In the fire alarm industry we have National Codes and Standards as well as Local Ordinances to follow. To name a few, the National Codes/Standards are the IBC (International Building Code), IFC (International Fire Code), NFPA 72, and NEC (National Electrical Code). Now, while some of the literature in these references may be crystal clear, others are often clear as MUD! This is why you always hear the term "Up for Interpretation". This is an easy way for local AHJs (Authority having Jurisdiction) to put their own spin on these references. If you have been in the fire alarm industry long enough, then you will understand that it can get very frustrating when dealing with an AHJ that is out of line. In these situations you must be a courteous professional that knows the codes and can stand their ground. If you are in the fire alarm business and directly handle the design of systems, then you will more than likely deal with an AHJ on multiple occasions. I suggest being prepared. If you are submitting a system for review, make sure you bring the National Code references pertaining to your design. Also it is very wise to research the City's local ordinances to see if they have adopted any codes that may be more stringent than the National codes we base our systems on. A while back when I first started designing systems, I came across a medium sized office building with a large warehouse used by a landscaping company. With a B type occupancy and over 20 sprinkler heads, the National Code required a dedicated function sprinkler monitoring system. I should also mention that there were less than 100 persons on floors other than the level of main egress with a total occupant load of less than 500. With that said, only one horn would be required near the FACU. Now the City where this building was located, had a local ordinance to require full occupant notification throughout for any B occupancy structure containing more than 100 sprinkler heads. This was my fault for not checking with the City prior to my design. I strongly believe that we learn from our mistakes and this particular one has taught me to really research all aspects of the design criteria before presenting a finished product to the client, FPE or AHJ. 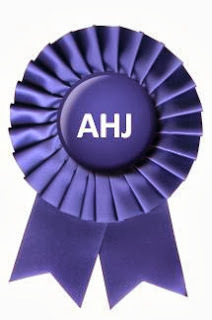 Now in some cases, the AHJs are just plain out of line. Fire officials typically have the attitude that more is better and in some cases they are correct. Coming from the contracting side of the industry, I would love to see more stringent codes enforced that mandate additional equipment. However, I also understand that money talks. To the fire department, money is not the driving factor of their decisions. Their job is not to help save the end-user money rather it is to instruct them on what their buildings require in the event of a fire emergency. Us as the designers and contractors are the middle man for the clients. It is our job to perform value engineering and get the customer a top notch system that meets all National and Local codes all without breaking the bank. If you ever come across a hard nosed fire prevention plan checker or inspector, don't lose your cool! This will only make matters worse and in no way help you achieve a signature on your ROC (record of completion) or permit. In these cases I always like to ask the inspector or plan checker the following: "Can you please reference your requirement in the code so that I can apply it to my next design?". In more cases than not, they will have to get back to you because they don't have the answer. This is the easiest way to get them to back off. By asking for this information, you don't sound like you are second guessing them and that you are actually relying on them for assistance. Once they realize their requirement is not in the National or Local codes, you should be on the correct path to moving past any discrepancies. Another great practice when designing systems for your clients is to hold pre-application meetings at the fire prevention office. This is an excellent opportunity to lay all of your cards on the table. Make sure to represent your clients concerns and make sure to document everything. This makes sure that everyone is on the same playing field and shows your client that you are looking out for their best interests. Designing fire alarm systems can be very fun and rewarding if you know what you are doing. Make sure to become familiar with all applicable codes and regularly attend code seminars to stay ahead of the curve.